My very first card for Simon Says Stamp. My very first card for Simon Says Stamp Wednesday Challenge is here. We are showcasing Simon Says Stamp Exclusive Products this week. You don’t have to use them to join in but if you have some we would love to see them used. Here is my take on the challenge using Simon Says Stamp Exclusive products. I have used Simon Says Stamp Tiny Dot stencil and sponged Sea Glass ink on white cardstock panel. I then sponged the edges of the panel also with the Sea Glass ink. The focal point is made using Garden Stems Tag and Song Bird Branch dies. I die cut them using watercolour paper. Watercoloured using Zig Real Brush Pens. Then layered and glued them on the panel. I brushed the flowers and leaves with Pink and Green Wink of Stella pen for shimmer. I attached a twine to the top of the tag to give the hanging effect. The sentiment is from To Thine Own Shelf stamp set from Simon Says Stamp. Here is a closeup of the card. And finally I have added some iridescent sequins from Pretty Pink Posh. You can see the dimension and layering of the die in this photo below. Congrats for being on the SSS DT! 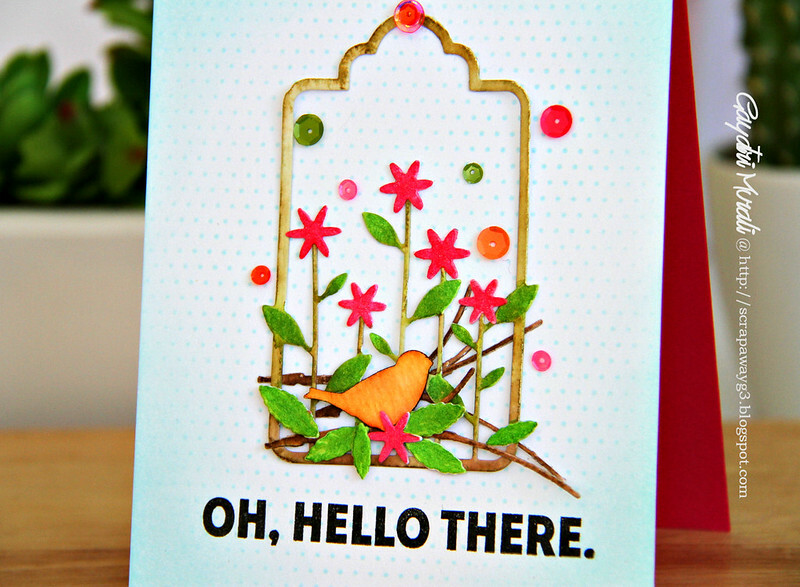 such a cute card, I am so glad you have joined the simon says stamp wednesday challenge team…WELCOME! Ooops! Left my comment on the wrong post… Congratulations!!! I'm so glad to see your beautiful projects on the SSS Wednesday Challenge team! beautiful card Gayatri!! love this one!! Congrats to you for being on the SSS team now! Love to see your always inspiring cards for Simon's challenges. This one's makes no exception. A stunner! A lovely card for your first assignment here, Gayatri, beautifully done! So pretty and love the colors! Also, congrats for being on the SSS design team. Look forward to seeing your creativity. So well deserved. Your cards are always amazing. Congrats on your Simon Says designer slot. A fabulous debut card Gayatri!! I like the way you framed the focal with the tag. Congratulations on your new DT assignment!! Big congrats Gayatri!! Love your super pretty card!! AWESOME first DT post, Gayatri! Love your bright and happy card! Congrats again on making the DT! I'm so happy for you! Hi Gayatri – it's great to have you with us!! 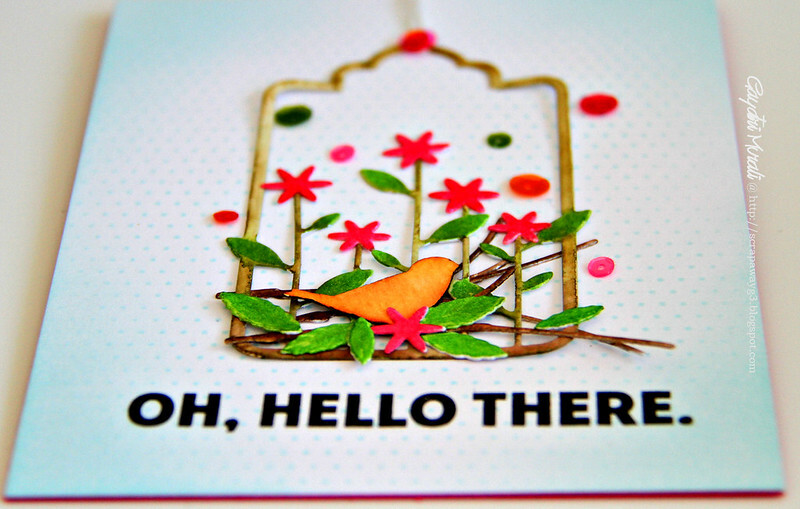 Your card is gorgeous a super design and background with beautiful colours and dies!! Congratulations with your spot in the team Gayatri! Love your work!! Great card, Gayatri. I love the gold embossed tag with the brightly colored flowers in it. It reminds me of a birdcage with flowers inside. So pretty. Congrats on being on the SSS DT. I look forward to many more of your creations. This is GORGEOUS! Awesome background and beautiful colors! Pretty card Congrats on joining the SSS DT! Congrats to you!! Simply Beautiful!! Absolutely beautiful card Gayatri!! Just stunning!! What a beautiful, soft background for this sweet image! 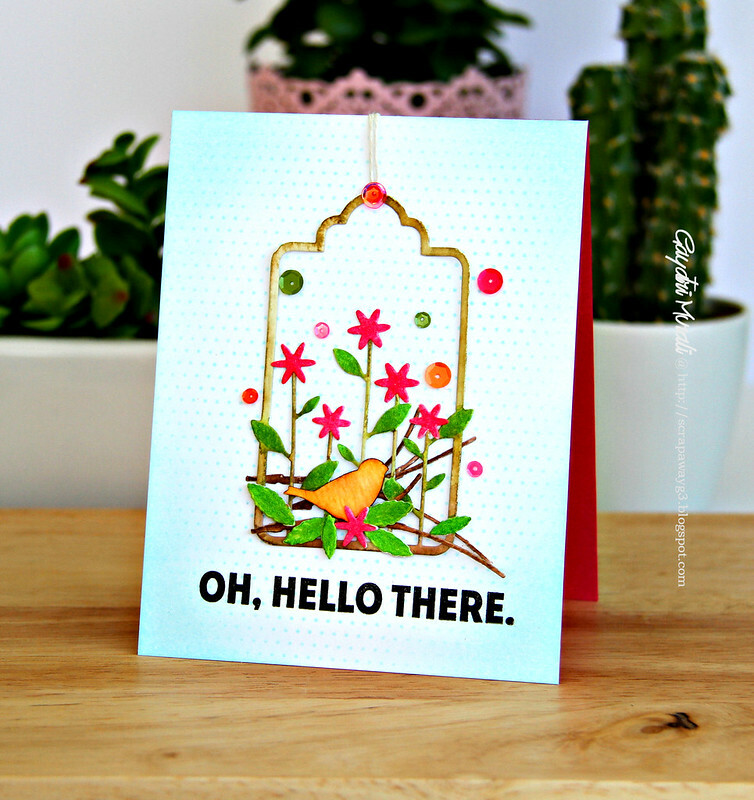 I love the summery feel of this pretty card!